We’ve all had one of those days where you get home, you stare into your bedroom and wish that you’d never paid $300 for that ugly duvet cover. Rest assured, everyone has been there. Giving your bedroom a makeover doesn’t have to be an expensive experience – follow our budget guide to transform your sleep sanctuary from zero to hero. What do most beautiful bedrooms have in common? PLANTS. 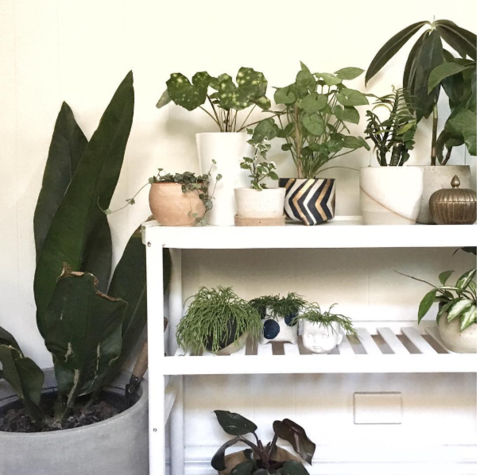 Pop down to your local Bunnings and grab a few indoor plants. They’re low maintenance as is, but if you’re extra worried go for cacti. 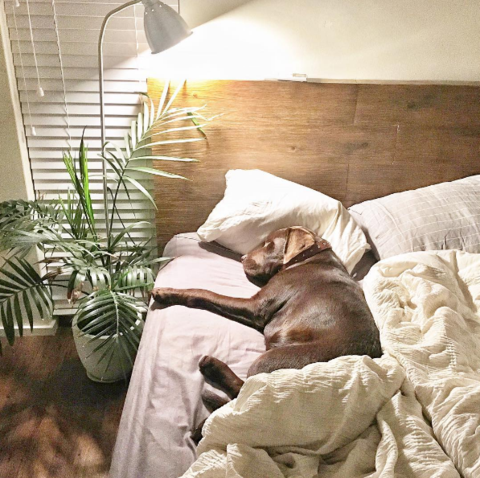 A bright splash of green can lift the spirits of any room, and this is one inexpensive method that will surely add life and love to your bedroom. Good furniture will last you a few years, but great furniture will last a lifetime. 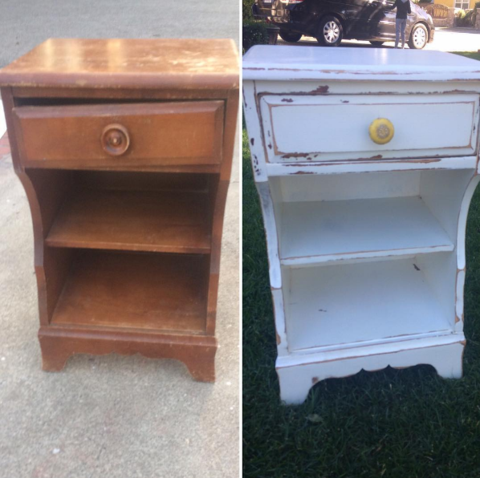 If you’re short on your budget, picking up some secondhand furniture can be a real game-changer. Whether it’s from a garage sale, your auntie’s granny flat or a school fete, you’ll be surprised at the incredibly expensive furniture people just throw away. When you get your new piece of furniture, always sand it down, give it a lick of paint and it’s ready to go. You know this gorgeous upholstered bedhead that can easily cost you over $2000? We love them too, but they can be so pricey and often aren’t a priority. 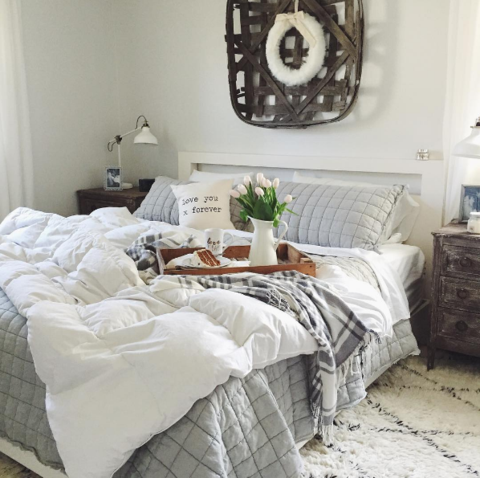 A visually appealing bedhead can change a bedroom immensely, so why not make your own? There are so many free online tutorials out there to make your own bedheads, and we’ve scoured Pinterest to find our favourites which you can view HERE and HERE. Have a quick look at your bed… it’s probably got a couple of cushions, a quilt cover and maybe a throw if it’s lucky. It’s time to change things up, and the cheapest way to do this is to add in different textures and materials for the ultimate fast switch. 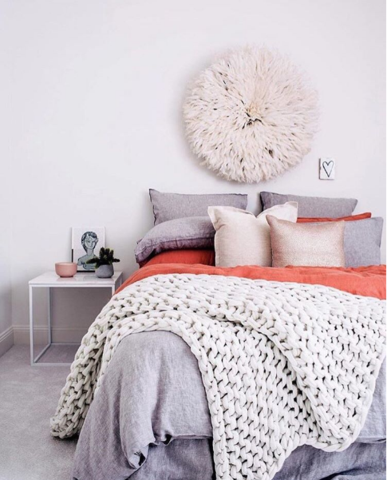 Whether it’s adding a faux fur throw, a bright accent pillow or switching out your quilt cover for a super textured one, it’s the little changes that can make a big difference. Go for neutrals if you constantly like switching, as nearly everything will go with creams, nudes, beiges and grey/whites. Empty space can look beautiful in the right bedroom, but it can also make a room feel soulless. 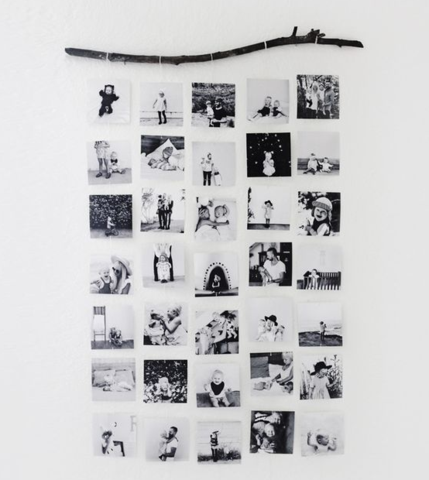 A super cheap and cheerful way to fill those voids is with your own photos. Are you one of the millions of people that takes thousands of photos on your phone, but never does anything with them? Next time you’re round a cheap photo-developing place (we love Kmart), go and print off some photos from your phone. They’ll fill your walls with your favourite faces, and cost barely anything to print. If you’ve ever read anything about Feng Shui, you’re probably aware of the concept behind moving your furniture around regularly. When we say moving your furniture, we mean rearranging your whole room. Bed against the window? Move it to the other side. Desk facing a wall? Move it closer to your door. With whatever space you’re working with, aim to move at least two pieces of furniture to the opposite side. You’ll have a new space to work with, and feel like you’re actually in a brand new room.